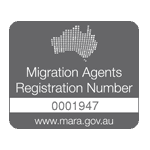 c) Periods of up to four years for occupations on the STSOL (short term skilled occupation list) are available where requested by the sponsor and required to meet Australia’s international trade obligations. a) The Medium-Term stream will be granted for 4 years. It will be possible for visa renewal onshore and a permanent residence pathway after three years provided the visa holder has been employed with the same employer while holding a 482 visa over that 3-year period. Whether is visa applicant qualifies for the Short-Term stream or the Medium-Term stream depends on what the nominated occupation is, which has to be selected from the subclass TSS List of Occupations. Commencing from April 2017, occupations on the SOL list are separated into two streams. Some occupations also have restrictions, known as caveats, which determine the eligibility requirements to nominate that occupation. An example of a caveat is the occupation of marketing specialist, where the requirement is a higher minimum salary requirement of $65,0000 + superannuation and that the business has a minimum turnover of $1M. Companies have certain obligations when sponsoring overseas employees and they can be monitored by the Immigration Department (Department of Home Affairs) at any time to ensure that they are meeting these obligations. ii) $1800 per year or part year for other businesses whose turnover is greater than $10million. If a visa holder already has a 457 or 482 visa, they can transfer the remainder of the term left on the visa to a new business sponsor. Great care should be taken when changing employers. If a visa applicant chooses to change employers a new nomination will need to be approved under the new arrangements, which can involve a significant cost to meet the Skilling Australia Fund (SAF). Depending on the occupation and duration of the current visa it could impact on the ability to apply for Permanent Residence down the track.